It’s a totally cool little journal that helps moms and dads capture precious parenting memories every day, for a full five years. At the top of each page is the name of the month and day, and the rest of the page is divided into five separate sections where you’re supposed to write down memories of that day for five consecutive years. 1) You will finally capture some concrete anecdotes about the hilariously adorable stuff your kids do every day. Mispronouncing words, telling nonsensical jokes, asking deep philosophical questions, and expressing super-sweet affection. Without this journal, parents spend their days endlessly thinking about how they “should really write this stuff down” – but they never, ever, ever actually do it. With the journal, that parenting problem is solved! 2) All of your parenting memories can go in one place! Gone will be the days of writing random notes in any number of places, like calendars, notebooks, texts, emails, photo albums, Taco Bell receipts, and half-completed baby books (if you’re lucky). 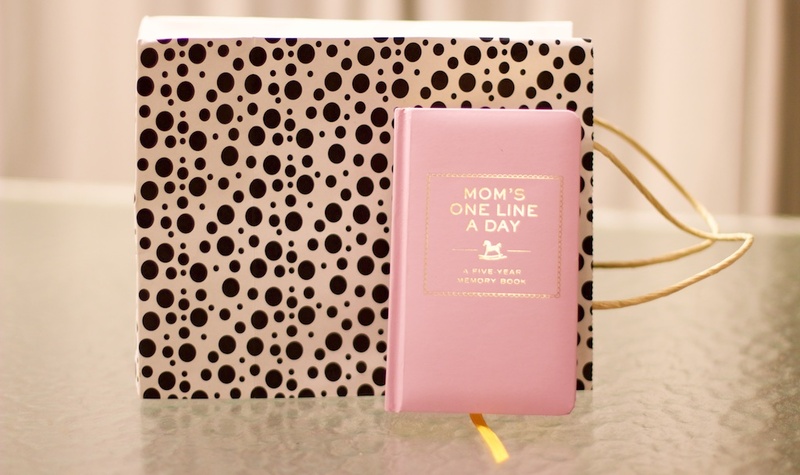 This One Line a Day journal gives you one organized place to keep them all! 3) You can reminisce as you write. Since the journal collects memories for five years, parents can easily look back and delight at what happened at the same time in previous years. Arbor Day 2013 was the best, right? 1) There’s not a lot of space to write each entry in. You might think the fact that the One Line a Day journal doesn’t give you a whole lot of room to write down what happened each day would be a negative. But that’s actually a selling point. It means that you only have to record the most important stuff – so it doesn’t take long to do it. Because really, if we parents had the time and energy to write our memories down in detail we would have done it already. 2) The journal is easy to screw up. See, unless you receive the journal on January 1st, you’ll probably start writing somewhere in the middle of the year, which is in the middle of the book. That means that when January rolls around and you flip to the first page to continue writing, you should leave the first row empty and start your entries on the second row – so it’s easy to read the whole thing chronologically later on. These directions are clearly written on the back of the journal, but they’re very easy to ignore-slash-forget-about. At least they were for us. So now when you read our journal, the first entry is from January 2015, but somewhere in October, the entries actually jump back to 2014 when we began writing in it. 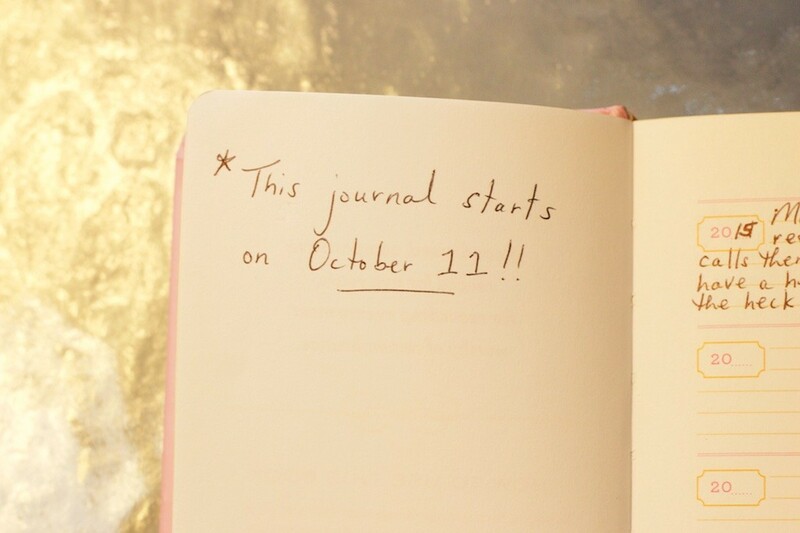 If you make that mistake too, here’s a quick fix: just write a note in the front of the book reminding you which date to look at for you very first entry. That way you’ll be able to read everything in the right order, plus you won’t have wasted a single space in the book by leaving it blank! 3) You will be constantly behind in your entries. We mean really behind. Sometimes by a couple of weeks or more. But thank goodness for smartphones, because they let us take quick notes of the cute stuff the kids do as they happen, which we can then binge-write in the journal when we get a couple minutes to ourselves later on. But being a few weeks behind on these entries isn’t really a negative. After all, if you didn’t have this journal, you’d probably be five years behind on writing any memories down before you know it. We think the One Line a Day Five-Year Memory Book is pretty great. Oh, and it comes it pink or teal – so now you have no excuse not to buy one right now! We’re writing a book Contrary to popular belief, writing a book is NOT AT ALL the same as having a baby Happy parents give a s*** Two little kids read a parenting book … in their own words!